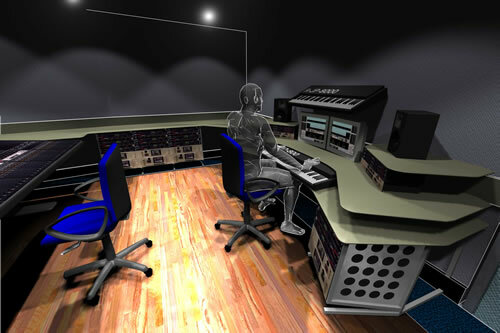 In North West London two Mastering / Re-Mastering facilities at EMI’s Abbey Road Studios have recently been re-constructed by Eastlake to provide improved levels of isolation performance and appropriate monitoring conditions for 5.1 mix monitoring.Preliminary studies for subsequent upgrading by Eastlake Audio of several suites at London’s iconic Abbey Road Studios. See below. 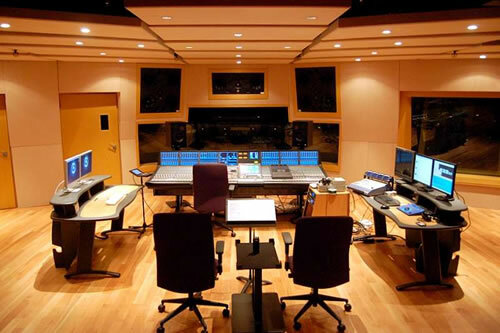 In South London, two completely new Control Rooms and Studios have been constructed for the phenomenally successful PWL production company who to this moment account for over five hundred million (yes, 500,000,000!) record sales world-wide. 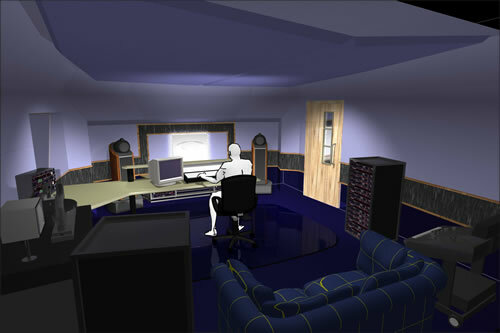 Extensive use was made before construction started of Computer Aided Visualisations of Control Room equipment layouts to maximise space usage.Study for integration of custom furniture within Eastlake Audio designed and constructed ‘workshop’ studio for multi-million unit selling, PWL. See below. 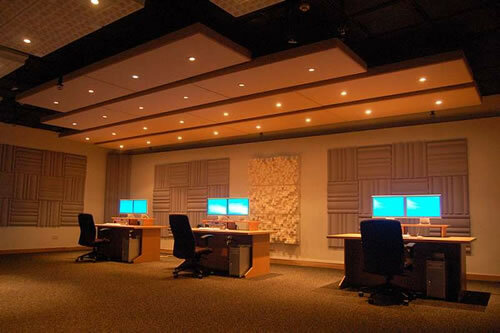 Three studios have been designed by Eastlake for the Music & Media Department of Perth College in Perth, Scotland. These new facilities will be housed in a new building extension currently being constructed on the College’s Goodlyburn Campus. The extension will also house a Theatre. 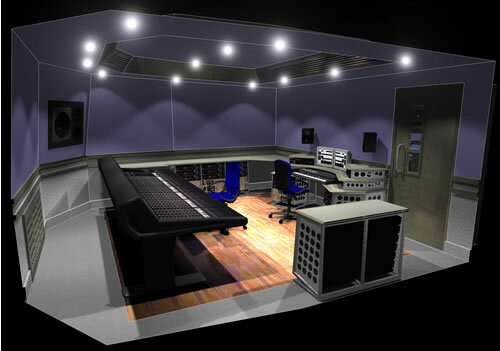 Fit-out by Eastlake of the studios commenced in July for conclusion in October.Exploded view of facilities designed for Perth College, Scotland’s School of Music Teaching and Quasi-Commercial Recordings. See below. 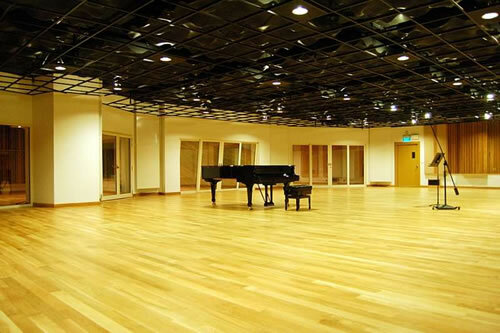 Construction under Eastlake expatriate supervision of a particularly elegant recording facility for High Quality Studios is now concluded in Ghiza, central Cairo. 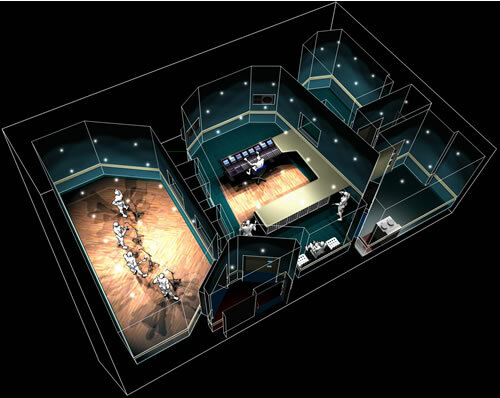 Elsewhere in Ghiza, design work is currently underway on new Dolby 5.1 Mixing Theatre and Dubbing Theatre facilities for rapidly expanding local post-production company, Elixir. 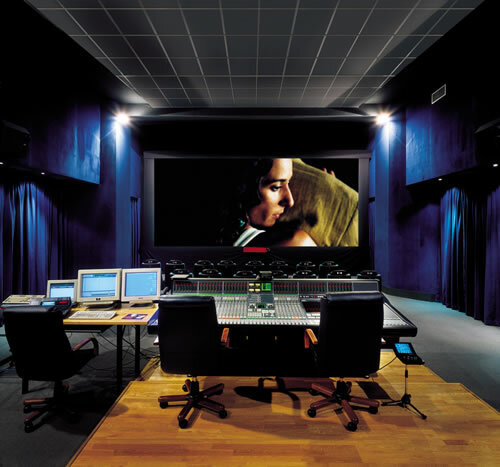 Spanish long-time Cinema and TV recording / mixing facility Cinearte now have a new film mixing facility within their historic central Madrid location in the Plaza de Conde de Barajas. 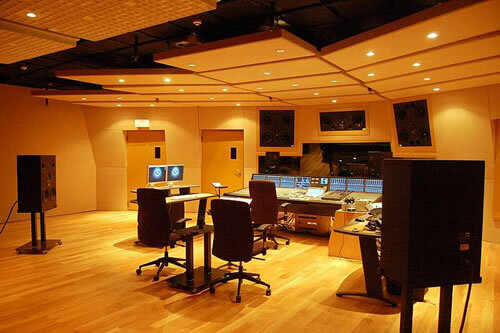 The new facility (equipped with a fully-digital SSL Avant mixing console) is a Mixing Theatre for Dolby 5.1 Surround work, occupies a 500M3.+ cubic volume and has an 8M. wide screen. 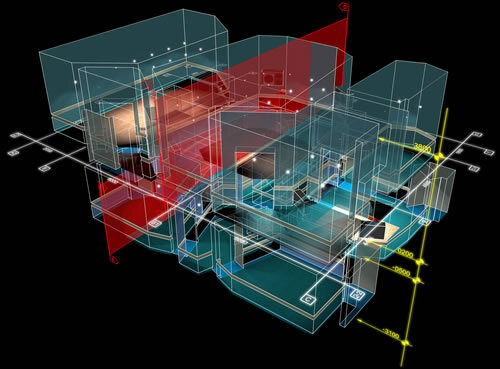 Extensive isolation systems were designed by Eastlake to provide the isolation values required for the new facility. The construction was undertaken by local contractors supervised by experienced expatriate Eastlake personnel. See below. A further high-specification Mini Cinema has been completed in the Emirates for use by the Client and his family members. 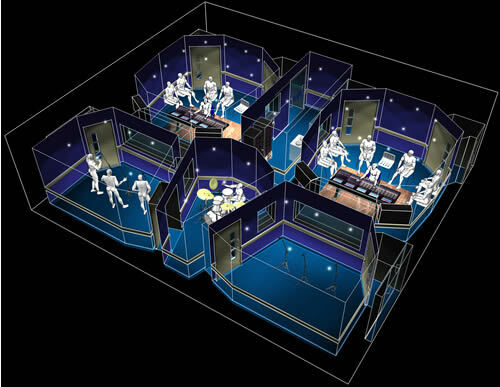 The construction features fully isolated techniques and full-range surround format. A project first planned almost ten years ago and which suffered several delays (one due to the originally offered building being withdrawn by the Cuban Government to a Bio Technology factory!) finally became fully operational and is attracting international clients. 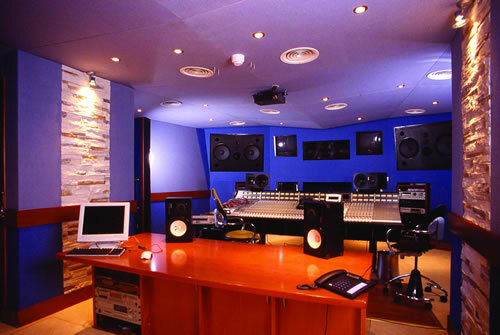 The EGREM facility is located in Havana’s seaside resort suburb of Miramar and is well-placed for international-standard hotels and restaurants that overseas clients require whilst Cuba’s extremely professional and enthusiastic musicians are bound to draw productions which require the finest ‘Salsa’ rhythms. EGREM are the state run record company Empresa De Grabaciones Y Ediciones Musicales founded in 1964 following the Cuban Revolution, which then released music on it’s own in-house “EGREM”.